Manchester United manager Ole Gunnar Solskjaer has indicated that Paul Pogba has a big part to play in the club's progress despite the ongoing speculation over the midfielder's future. In a recent interview in France, Pogba acknowledged that he has the dream of playing for Real Madrid in the future while giving a special mention for Zinedine Zidane, who was re-appointed as Los Blancos' manager this month. 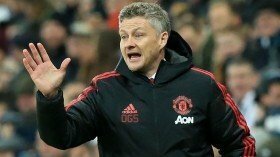 In response to this, Ole has suggested that Pogba was only answering a general question and the Frenchman has a big role to play for the Red Devils in the forthcoming years. “Paul is a very nice and polite man who answered a general question. Paul's happy here and he's going to be a big, big part. I've always said that you'd like to build your team around him and that hasn't changed at all," he said via BBC Sport. Pogba recently featured for the Red Devils in the slender 2-1 triumph over Watford. The Red Devils were second best during the game but managed to come up with maximum points to temporarily move into the top four.